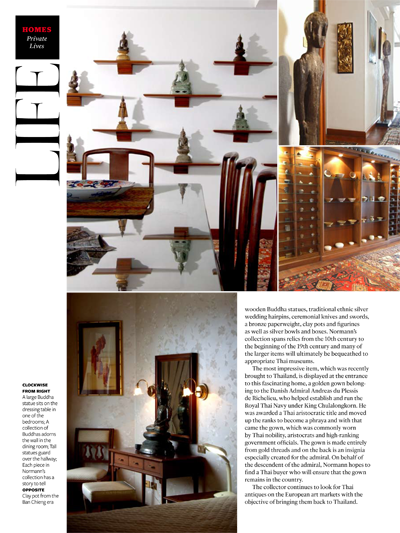 Myanmar antique is the brainchild of the owner who during his many asian visits over the last few decades developed a deep fascination with particularly burmese art. 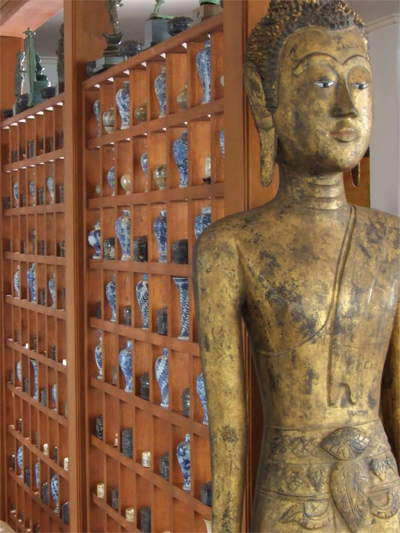 The very wide assortment of beautiful and rare burmese artefacts are reflected in his desire to only collect the very best, but he has also kept a keen eye on decorative and contemporary art suitable for the european taste. Visit this unique pear of burmese art in the centre of odense and get inspiration, - for the serious collectors is a virtual museum, but with no entrance fee! or perhaps you are seeking a superbly crafted silver bowl amongst hundreds of different shapes and sizes. Myanmar antique is indeed a visual experience and feast for the eyes! I'm pleased to announce that I have recently entered into a strategic co-operation with one of Asia's major and well known collectors, Anders Normann. 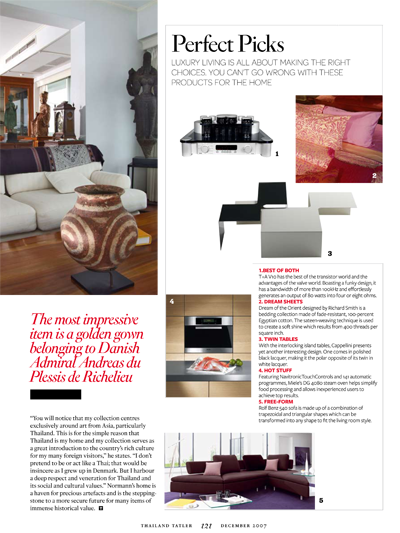 Anders' collection has been featured in numerous newspaper and magazine articles both in Thailand and Scandivia. 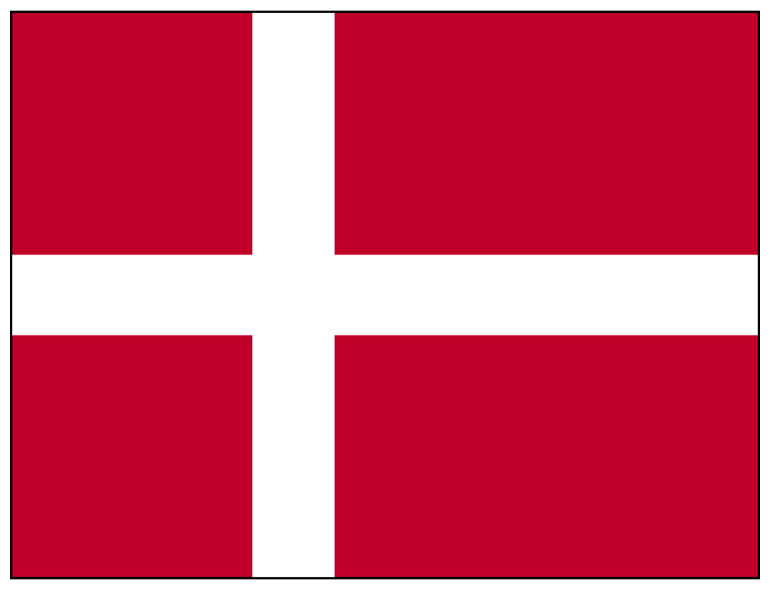 Anders' more than 40 years in Asia has ensured a unique knowledge and network, which I now have access to, hence I'm not only assured expert knowledge and assistance, but indeed also unsurpassed source(s) of supplies of only the very best. Combined with my 20 years of Asian knowledge it is a win win for my most valued asset: my customers. Please look at some of the rare and unique pieces from my and Anders collections. ‘’Vanity’’ per se is to a varying degree part of the human make-up and my DNA is no exception! Therefore, when reaching the pinnacle of recognition from a collector’s perspective, - particularly in the autumn of my life, - I cannot resist the temptation to share my pride with family and friends. Being the only foreigner since Jim Thompson, - he had to disappear first! 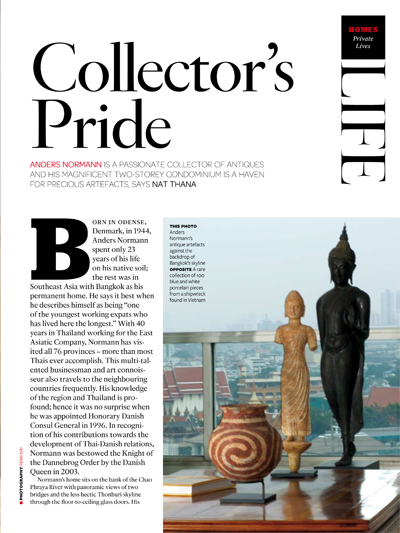 - with a private museum in Thailand, I took considerable pride in the request that Nicolie be featured in the 2013 May/June issue of Arts of Asia. I’m particularly delighted that the beautiful and unique Royal Robe dating from the turn of the 19th Century has achieved the historic prominence it rightly deserves. 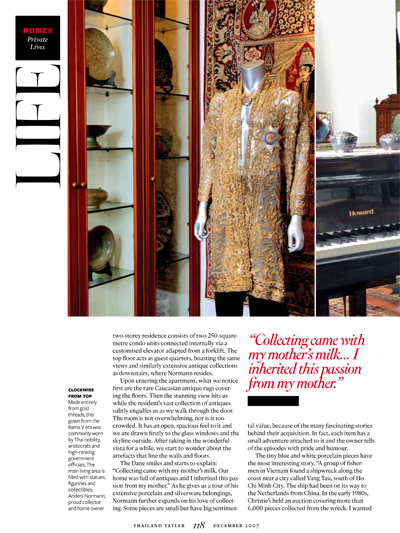 Arts of Asia has for decades been regarded ‘’holy grail’’ for museums and collectors of Asian Art. Am I vain, - guilty as charged!